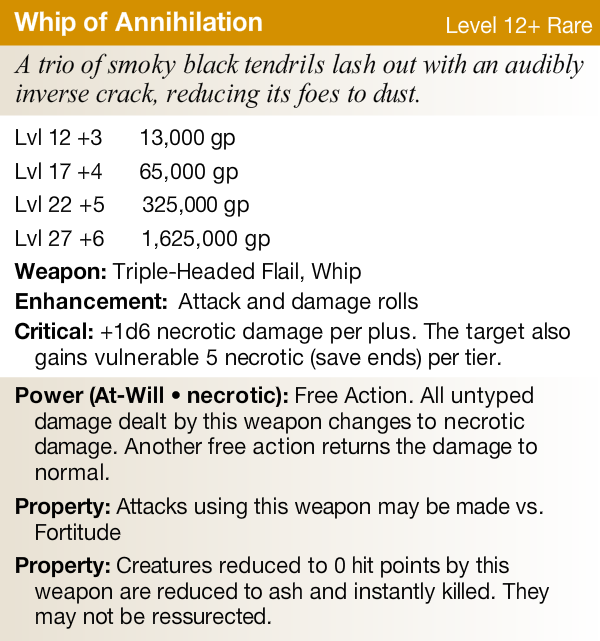 This was a Fourthcore Armory item that was cut due to limited design space and there already being a whip within the supplement. That other whip Tentacle of the Nether King was also mine. So I suppose I have a thing for whips [crude BSDM joke goes here]. 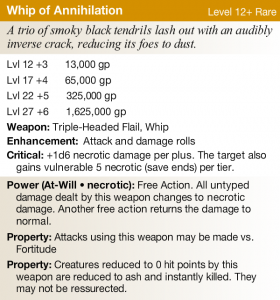 Anyway, stay tuned to the Dread Compendium entries for my upcoming 3-headed undead Ettin that dual weilds these babies! Booth Babe Culture, I Abhor It.